Unable to attend one of our Ash Wednesday Worship Services? 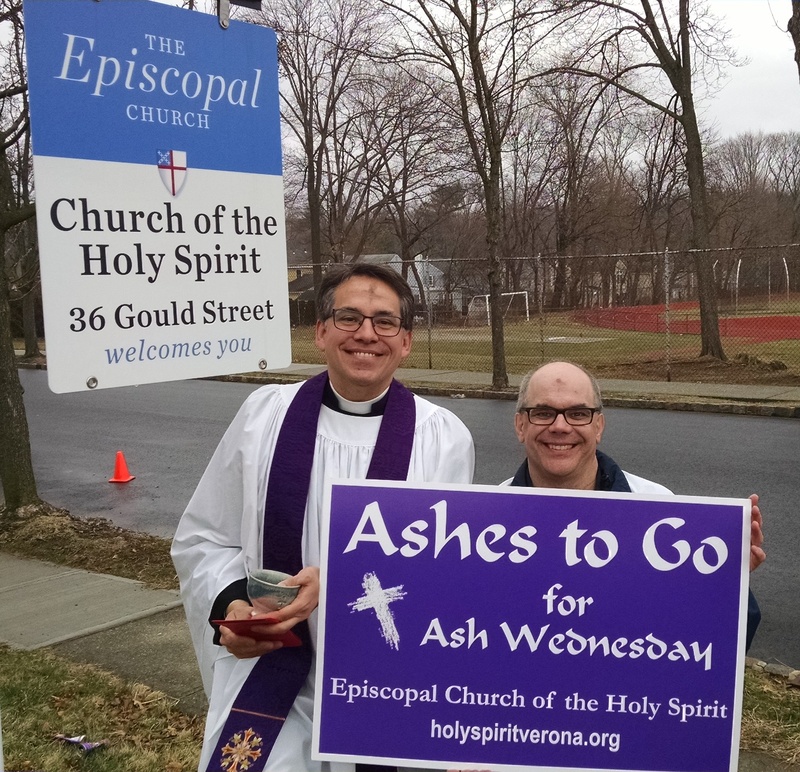 Stop by Gould Street (between our parking lot and HB Whitehorne Middle School) to receive ashes to begin your Lenten journey. "Ashes To Go" will be available from 8-9:30am and 2-3:30pm on Wednesday, March 6. The Church of the Holy Spirit Verona will once again join other Episcopal Churches in taking worship to the streets. For more information see: ashestogo.org.